Representation is an important element for a healthy childhood. Children who see people who are similar to themselves succeeding are more likely to believe that they, too, can be successful. Representation in children’s books and literature — both of the authors and of the characters featured in stories — provides a sense of inclusion and belonging. Diversity is an accurate reflection of reality, which is why the children’s books at Green Bamboo Publishing feature stories about many different types of animals. The books we publish also feature a diverse range of authors and illustrators. In honor of Black History Month, we are recognizing five children’s books by black authors and illustrators, including one of our own, the Canadian author Candace Amarante. A young pheasant explores the themes of self-expression when she desires something more for herself… a tail as beautiful and vibrant as a peacock’s. 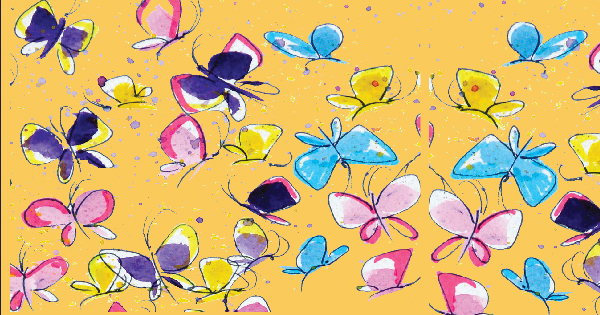 She gets by with a little help from some unexpected friends and lets her true colors fly. We love the quirky humor and comedy in the book — qualities that often pop up during journeys of self-discovery. A little boy named Giovanni goes and a world-wide adventure with his aunt and pet parrot, Jasper, to discover the many places that serve the traditional dish of his country. He soon learns that rice and beans is a dish to be celebrated and that he can be proud of his heritage. We love the diversity, and positive message of self-love that permeates the book. The character Anna struggles with sibling rivalry, the struggle to be more grown up than she is, and a unique phobia of cows. She is tasked with fetching water every day, but is unable to carry it on her head like her older siblings. As Anna overcomes her fear and learns how to persevere, young readers are taught the lesson of determination and trusting in one’s self. We love the creative characters and the sense of empowerment this book instills in its readers. Told in the tradition of fables, this story examines the potency and dangers of power taken by force. The theme of justice is seen in the journey the leopard king takes to become a leader, gain his claws, and restore harmony to the jungle. We love the concepts of friendship that appear between the animal characters and in the message that we can all live together in harmony and peace. The cast of cute animals in this book entertain and delight as young readers discover the silliness of knees. The text is designed to be playful and simple, but the message of body positivity is strong. We love the easy flow of the book and nurturing quality of love that is present throughout. At their core, what all these children’s books by black authors and illustrators share is a unifying theme of love. Whether it is love for oneself, love for animals, love for your family, love for the world, or love for friends, the reminder to be loving is always a good one to embrace. Browse through our collection and choose a book that supports making the world a better place. Do you ever long to be different, to embrace the many colors of who you are? Author Candace Amarante explores this theme of self-expression in the children’s picture book The Pheasant’s Tale or … was it its Tail? I realized I was a writer when all I could think about was getting my other duties and obligations out of the way, so I could write creatively. I discovered my love of writing children’s books while working on my dissertation in political science. Upon completion of a chapter, I would treat myself by writing a story. By the time I finished my thesis, I had six children’s book manuscripts under my belt, three of which have been published. What inspired you to write a children’s picture book? A rather amusing misunderstanding that occurred with my daughter. She was and still is a clear and articulate chatterbox. A few years ago, she came home from daycare speaking incomprehensible words. I thought something had gone awry with her verbal ability and was about to call the doctor, when my husband stopped me and suggested that I talk to our daughter more and tell her stories. I did just that, making up stories on our metro rides to and from daycare. Shortly thereafter, my husband and I found out that there was absolutely nothing wrong with our daughter’s verbal ability; she had been repeating words and phrases from a little girl in her class from Hong Kong and was actually speaking to us in Cantonese! From this serendipitous experience, the seed for storytelling was planted in me and has been growing ever since. 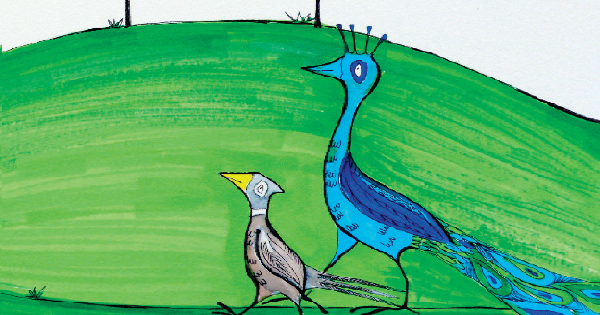 What are your favorite things about children’s picture books? Imaginative stories with vivid illustrations from author/illustrators like Phoebe Gilman, Camille Garoche (Princesse Camcam), and Brian Selznick; stories with lots of lyrical descriptions like those by L.M. Montgomery and E. B. White as well as stories that touch on social subject matters and are written in an uncompromising and honest manner by authors such as Harper Lee, Virginia Hamilton, Zilpha Keatly Snyder, and Jacqueline Woodson. Historical fiction is another one of my favorite genres in children’s books, and I’m partial to authors like Mildred D. Taylor, Paula Fox, Jack Gantos, and Avi, to name a few. I also like quirky and wacky stories from authors like Roald Dahl and David Walliams. I’m a sucker for charming and endearing stories by writers like Katherine Applegate and Rob Buyea. Another thing I truly appreciate in children’s books is originality, which I’ve found mostly in the tales of my all-time favorite children’s book author, Gianni Rodari. In your opinion, what are the benefits of reading? Aside from improving writing skills, I’m hardly ever bored when I read. I carry a book with me everywhere I go, so when I’m on the verge of boredom, I preempt it by reading. Did you have a concept for the illustrations in The Pheasant’s Tale or … was it its Tail?, or did your illustrator come up with the concept on her own? Veronika Gruntovskaya, my illustrator, came up with the concept on her own. She had me choose from two styles: one that was more artistically elaborate and detailed, and another that was more comical with vibrant colors. I opted for the latter as I felt that it would be more appealing to children. What is the main message you are communicating with your book? I really didn’t have a message in mind when I wrote the book. My sole intention was to tell a story that would delight children. However, if a message could be derived from The Pheasant’s Tale or … was it its Tail? it would be one that encourages cooperation, teamwork, and friends making sacrifices to help each other, along with the pursuit of self-expression. Do you have aspirations to write another book? Yes, I do! In fact, I have several manuscripts for which I am currently seeking publication. They include a short chapter book, a historical fiction novel, a project in the medical humanities — which consists of writing stories that incorporate the voice of children with chronic illnesses — and a picture book series for reluctant readers. Interested in reading something by Candace Amarante? Get a copy of The Pheasant’s Tale or … was it its Tail? here! Autumn is a wonderful time for cyclists. In many places, the oppressive summer heat is letting up, giving way to a crispness and clarity in the air, and the paths and trails are emptier, save for the gentle dusting of leaves. For many cyclists, this is the best time of year. Add to that the children starting school one grade higher, and the pets (like their owners) busying themselves answering an evolutionary memory of the preparations for the coming winter, and many cyclists will find themselves biking with dogs leashed around their waists, or children towed in wagons, or even learning to ride alongside their parents. Cycling is freedom, a blending of man with machine, and sharing that experience with a child or a pet is an unparalleled bonding experience. However, all of that freedom must be matched by cognizance and responsibility on the part of the experienced cyclist. Sharing the road with cars (bicycles are vehicles, remember, and obey all traffic codes) can be a dangerous compromise, and a responsible cyclist will be able to ride safely, confidently, and proactively in order to participate smoothly in traffic. While many cities have begun to develop bicycle lanes (with varying degrees of success), or even bicycle-first streets or districts, a cyclist will almost undoubtedly have to negotiate traffic with drivers as well. For instance, even with a dedicated cycling lane, drivers will have to block that lane to turn right. Similarly, cyclists will have to lane-change to the left, perhaps more than once, to make a left-hand turn. Even if every party is driving or cycling in good faith, it can be a tricky system. Consider the chaos that would ensue if drivers were able to turn right from a center lane, blocking traffic on their right. This is the daily reality for cyclists. Still, a dedicated bicycle lane is well worth the trade-off, since it keeps a clear path for cyclists who might otherwise have to weave in and out of the flow of traffic to avoid parked cars. Ultimately, it’s every party’s responsibility to be watchful, methodical, and aware of his surroundings, but, since cyclists will be approaching the car’s flank in the case of a right-hand turn, it’s incumbent upon the cyclist to slow down, or yield the lane to the car if the car has already entered into the turn. Simply put, respectful cycling is about knowing where, when, and how to position oneself to ease traffic flow – just as it is for cars. It’s the “how” that gets tricky. Cyclists should have a bell or horn, to announce themselves as appropriate, and to signal their moves with gestures (as was common for drivers prior to the advent of the illuminated turn signal.) For a right turn or lane change, the left arm is to be extended, bent at the elbow with the fist straight up, while a left-hand move is signaled by the left arm extended, unbent, perpendicular to the cyclist and to the bike. An unsignaled turn or lane change is an illegal turn or lane change, and a cyclist is as responsible as a motorist for obeying all applicable traffic laws. But enough about roads. Traffic laws are dry and procedural, and, in this fine autumn weather, you’d much rather get out on the trails and paths, with your dog at your side, and your children in tow. Still, a cyclist is responsible for more than just obeying traffic laws. Cycling with pets brings on a whole host of unexpected complications and risks, and it’s up to the cyclist to anticipate them. 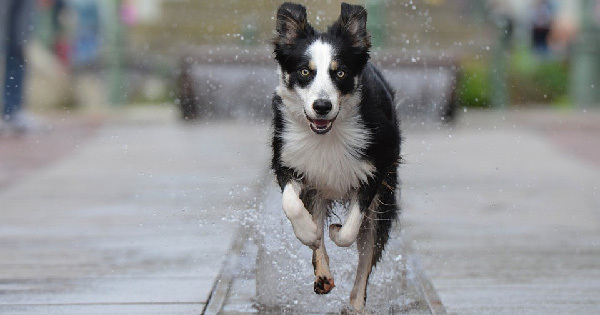 Dogs love to run, but many cyclists do not consider the turf or terrain that they will be leading their dog to run on. Cement, concrete, asphalt, gravel, and so on can be seriously harmful to the pads of a dog’s paws, especially at cycling speeds. If your dog is allowed to run freely, this may be less of an issue, especially if there is grass alongside the bike path, but a leashed dog may not be given sufficient scope to avoid road hazards and may be unintentionally suscepted to injury. 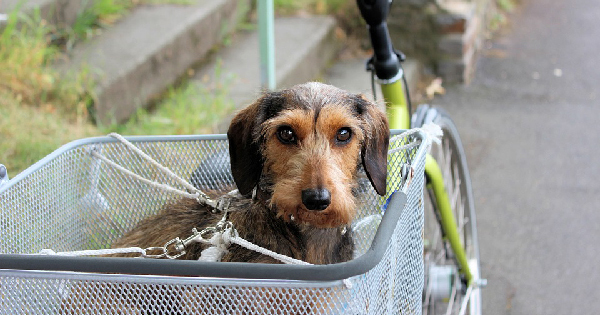 Further, a dog on a leash, if the cyclist is unmindful, may be overrun and overexerted, which can cause cardiovascular or respiratory distress. A responsible cyclist will attend the environment, the conditions, and the state of the animal in his care. Conversely, an animal may unintentionally unseat a cyclist, if the proper precautions are not taken. An ill-trained dog, leashed to a cyclist’s waist but suddenly chasing a wayward squirrel, can topple even the most seasoned rider with ease. Leashes are sold with embedded springs for exactly this sort of purpose, to limit the suddenness of the dog’s pull. It’s kinder to the dog, who is granted a limited scope to pull, and to the cyclist, who is less likely to be suddenly and unexpectedly destabilized. As for children, while many parents make certain allowances when it comes to bicycle etiquette, like letting children cycle on sidewalks, any cyclist, even on training wheels, should employ the full suite of safety features. That means bells, reflectors, functioning brakes, safety-certified helmets, and a clear understanding of traffic rules. For parents, children, or both, or just cyclists in general, it’s often best to plan a route that bypasses major streets, or takes into account difficult intersections. On smaller streets, the traffic etiquette is considerably less intensive, and there is much more leeway for pets, slower cyclists, wagons, children, and so on. Still, despite the best of precautions, accidents do happen. A proactive cyclist is aware of his legal responsibilities, and his legal recourse in case of crash, mishap, accident, collision, or other damages. For those in California, Bay Area Bicycle Law is the leading bicycle –crash law firm, exclusively specializing in bicycle crash cases. If you have any questions about laws governing traffic, bicycles, or cyclists with pets and children, give us a call, and if you’ve been involved in a bicycle crash, our team of bicycle lawyers, with extensive experience working bicycle accident cases, can get you the help you need. Give us a call today, at (415)-466-8717, or look us up on the web at bayareabicyclelaw.com. The programs are designed as a two-way idea that would help both children and animals simultaneously. The idea began a couple of years ago in different locations and with a different purpose. 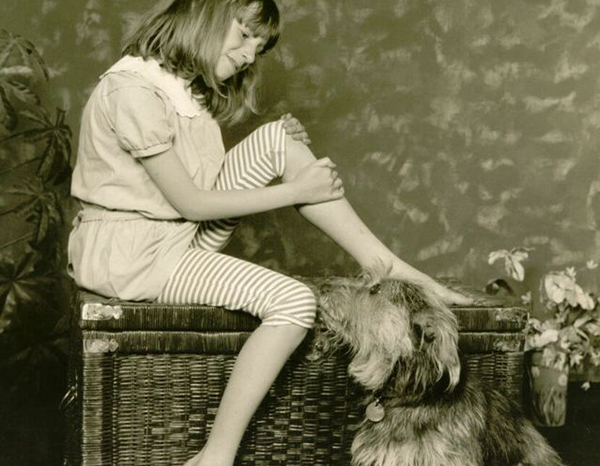 Certain programs were made as therapy sessions in schools for children who are mentally undeveloped, because the furry companions managed to create a relaxing and stress-free environment where children could practice learning. There have also been other programs focused solely on reading to abandoned animals in shelter homes, as a way of helping these furry friends get accustomed to people, their new environment and helping them get ready for a new home. The general idea is to encourage children to improve their literacy skills in a safe, non-threatening environment, all the while helping animals become more sociable. There have been a lot of speculations about whether these programs are actually effective or not, and in what way can they benefit children and their pets. In a recent study, children were asked to read in front of three groups: adults, other children and, lastly, animals. Researchers have shown that stress levels of these children were significantly lower when reading to animals, presumably because pets make great listeners and actually provide excellent interactive feedback. This results in higher confidence levels in children, helps them develop their communication skills, motivation, and creativity but also the will to learn and develop further. Animals, on the other hand, can benefit from the mutual acceptance, feel encouraged to interact with their human buddies, and learn about the value of companionship. While these programs are not strictly limited to a specific group, they are generally designed for children aged 6 to 15. This is the period when children grow the most, not only physically, but emotionally and mentally as well. That is why this experience can greatly help them in their future development process, especially during this age period. On the other side, most people believe that these reading clubs are focused solely on dogs and cats. 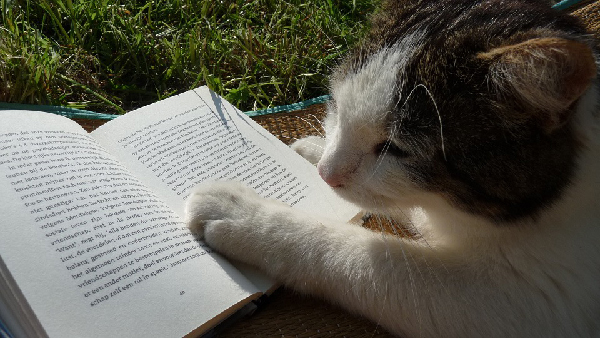 While there are a lot of initiatives for reading in dog and cat animal shelters, studies have shown that other animals (such as birds, hamsters and rabbits) can also be great reading buddies. A study conducted at the University of California has showed remarkable results – in terms of improving children’s literacy skills, confidence levels and class participation – in children who have spent 2 months reading to animals at least once a week. These programs are gaining global recognition and many people have been inspired to take the initiative in their own surroundings. Of course, if you are willing to start something on your own, Stefmar offers a wide array of pet supplies and advice about animals, that you could find useful in your new venture. For centuries now, people have been spending their lives in the company of these furry friends, whose presence has made significant impact on our lifestyle. Dogs, cats, guinea pigs, rabbits and birds have become an integral part of our lives for a number of reasons. 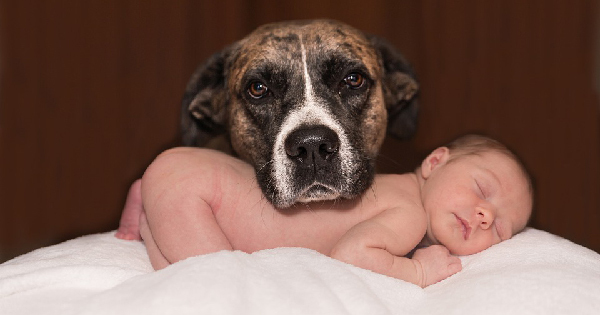 Not only do these animals count as loyal companions, but they are known to provide excellent comfort during hardship, protection in times of need and now they are even praised as amazing reading buddies. Guest Post By Payal Bhandari M.D. There’s been a lot of buzz about the health benefits of coconut oil lately. It’s not just a marketing stunt; over 1,500 studies support this trend. But as a pet owner you may wonder: is it really healthy for my pet, too? Absolutely! As long as you don’t overdo it, your pets can also reap the benefits of this amazing fruit. Coconut oil contains more than 85% Medium Chain Triglycerides (MCTs) which are easy for the body to burn and convert into energy. This plant-based oil doesn’t contain any cholesterol, and helps us maintain a healthy weight. Coconut oil is good for the digestive system. It’s easy to digest, increases the absorption of nutrients, promotes the growth of healthy bugs, successfully treats inflammatory bowel disease, and even improves bad breath. 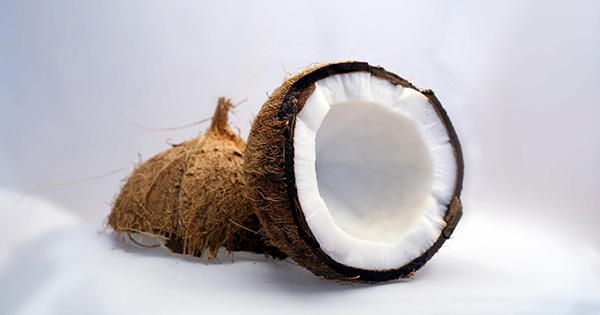 Coconut oil successfully treats skin allergies and irritations while it soothes wounds and helps them heal quickly. We all know pets like to lick their wounds, which can be a problem when ingesting some salves, but with coconut oil, there is no risk. If your pet suffers from arthritis or ligament problems, coconut oil can help soothe the pain. Coconut oil can give your pet a healthy skin and coat. Apply coconut oil directly to the coat and skin, let it absorb for five minutes, and then rinse. This will leave the coat sleek, soft, and glossy. This treatment also minimizes odor. The MCTs in coconut oil support weight loss, improve metabolism, and help to burn fat. MCTs also balance insulin levels which can prevent and control diabetes. Coconut oil is a natural energy booster. The quick acting MCFA fats in coconut oil increase a pet’s energy level. Coconut oil can prevent infections by fighting against parasites, bacteria, and fungi. How Much Coconut Oil Does My Pet Need? It will take some time for your pet’s body to adjust to coconut oil, so start slowly and build the dosage up over two to three weeks. If you give your pet too much coconut oil, it will cause diarrhea and a greasy stool. If you see that happen, cut back on the dosage. Suggested dosage for your dog: Start your small dog or puppy off with ¼ teaspoon per day, and 1 teaspoon for larger dogs. The optimal dose is 1 teaspoon of coconut oil daily for every 10 pounds of weight. 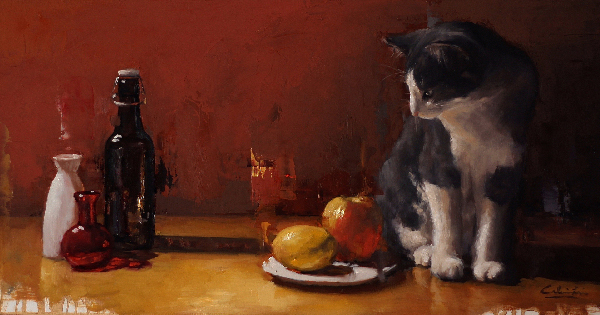 Suggested dosage for your cat: To start with, feed your kitten ¼ teaspoon of coconut oil per day. 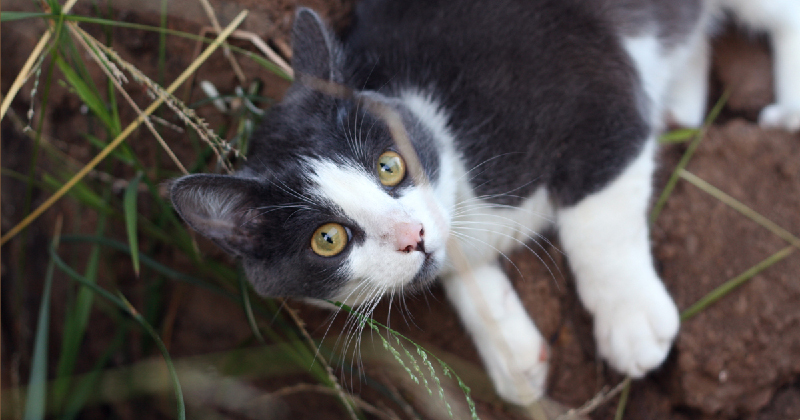 An adult cat can start with a ½ teaspoon. The optimal dosage is 1 teaspoon for a kitten, and between 1 and 3 teaspoons for an adult cat. Why not try coconut oil out for your pets? Your pets will thank you when they feel more energetic and have the sleekest coats on the block. Don’t you just love the smell of cinnamon? Whether you add it to your cappuccino, sprinkle on top of rice pudding, or devour a cinnamon bun, the fragrance and taste of cinnamon are irresistible. Not only does it smell and taste great, but there are also many health benefits to eating cinnamon for both you and your pet. Sprinkle some cinnamon on top of your dog’s food so he can enjoy the perks too. Cinnamon comes from a variety of evergreen trees that are part of the Cinnamomum family, of which the Cinnamomum verum (Ceylon) and Cinnamomum cassia (Cassia) are the most common. The inner layer of the bark is dried and rolled into sticks from where it can further be grounded into a powder. Cinnamon trees are grown in Sri Lanka (where 80-90% of the world’s cinnamon is produced), Indonesia, China, Vietnam, Burma, Brazil, and India. Cinnamon regulates the blood sugar and reduces the body’s insulin resistance. This is particularly beneficial to people with diabetes and overweight dogs. 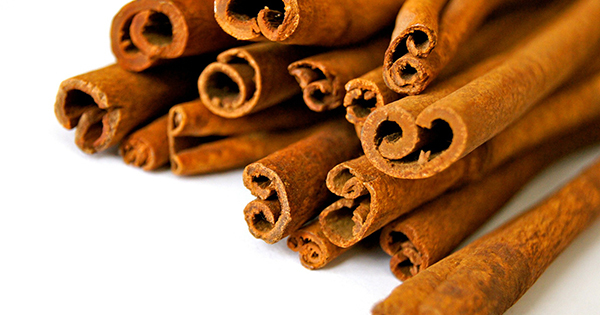 Cinnamon has antifungal properties. It treats respiratory tract infections that are caused by fungi, and can combat Candida Albicans, the fungus that causes yeast infection. You may not know this, but dogs with allergies are prone to yeast infections. The antibacterial properties of cinnamon slow down spoilage of food and inhibit the growth of certain dangerous bacteria like E.Coli, Listeria, and Salmonella. Cinnamon is anti-inflammatory, fights infection, and repair tissue damage. Half a teaspoon cinnamon and one tablespoon of honey mixed with warm water can do wonders for senior dogs and older people, as well as individuals suffering from conditions such as arthritis. Cinnamon can reduce the risk of heart disease. It lowers the blood pressure and LDL cholesterol, which are some of the factors causing heart disease. Recent studies have shown it can also slow the growth of leukemia and lymphoma cancer cells. Cinnamon is extremely helpful in fighting gastrointestinal problems such as nausea, flatulence, and diarrhea. The abundance of antioxidants found in cinnamon, such as polyphenols, can protect the body from oxidative damage caused by free radicals. Early studies have shown that cinnamon protects neurons, normalize neurotransmitter levels, and improves motor function. This is especially good news for people suffering from neurodegenerative diseases, such as Alzheimer’s and Parkinson’s disease. There are two types of cinnamon: Ceylon and Cassia. Ceylon is often called “true” cinnamon and is lighter, healthier, and more expensive. Cassia cinnamon is the most common variety found in supermarkets and is also cheaper. Cassia contains a compound called “coumarin,” which can be harmful in large doses. A study carried out in Norway suggests the maximum Tolerable Daily Intake of coumarin is 0.07mg per kg of body weight, which translates to about 5-6mg for an adult person, 0.4mg for a small dog, and 2mg for a big dog per day. In their 2006 publication, The German Federal Institute for Risk Assessment (BFR) estimated that 1kg of cassia cinnamon contains between 2.1g-4.4g of coumarin. If converted to a single teaspoon of cassia cinnamon powder, it could contain between 5.8-12.1mg of coumarin. This is much higher than the Tolerable Daily Intake for a smaller individual, as well as dogs. If you can, stick to Ceylon cinnamon; otherwise, make sure you don’t overdo it. Guest Post By: Danielle Lazier, Founder, SFhotlist Team, Top-producing San Francisco real estate agent. Let’s face it, pets and kids are messy. So start at the beginning and optimize your entrance. A shelf and hooks on the wall is an easy solution to discarded coats, clothes, toys, collars, and leashes. Rather than these items ending up on the floor, you can hang them tidily and within handy reach. Use the shelf for storing towels that can be used to clean dirty paws, hands, and feet. By dealing with the messiness right at the start, you’ll prevent it from getting trekked into the rest of your home. It’s a good idea to have a laundry hamper by the entrance, too, so that dirty clothes can be immediately put where they belong instead of strewn across your floor. Additional ideas for the entrance include having a place for hand sanitizer and/or baby wipes, to prevent sticky hands from staining walls and dirtying door knobs. There’s no use crying over spilled milk, but it would be nice if it didn’t leave a stain. Four types of stain resistant fabrics are leather, vinyl, pleather (if you can find some high quality versions, so that it still looks classy), and Crypton, a nearly indestructible, synthetic fabric that’s resistant to stains and smells. While some of these may still suffer scratches and tears from paws and fingernails, at least you can minimize the mess left from spilled liquids and muddy paws. Another alternative, if you want to stick with other types of fabrics, is to choose darker colored material, so that stains are less likely to show. If you have pets and kids in your home and you haven’t yet discovered the joy of plastic bins, it’s time to embrace the convenience they afford. Since they come in all shapes, sizes, and materials, you can place bins in every room in your house if you’d like to. They’ll keep your rooms looking neat and organized, even if the contents of the bins are a haphazard mess. Bins are a convenient and easy way to store clothes, toys, games, and more. Just be sure to label them so that you don’t get the kid toys confused with the ones meant for Fido. Most households spend the majority of their time in the kitchen, but this is especially true for households that contain kids and pets. While it can be amusing to let your kids tear apart your tupperware drawer, this can get old after a while. Plus, where are the pets supposed to play? Teeth marks on your tupperware are not exactly a desired feature, either. The solution is to create a play space in the kitchen, complete with toys, pillows for lounging on, and room to get messy. Tuck the play space under a counter island, convert a pantry into a play nook, or designate a corner for the critters and munchkins. Reading nooks are a delightful way to organize some of your children’s books and toys, and pet toys, too. Studies have shown improved social skills in kids who read to animals. By designing a reading nook, you’ll give your kids a quiet little enclave where they can read to and bond with their favorite animal companions. Line the shelves with children’s picture books and include a jar of pet treats so that the kids can reward the pets for good behavior. Reading nooks can be so inviting, you may even want to cozy up in there yourself! It’s important to consider both your kids’ and pets’ lifestyles when organizing the layout of your house. The above ideas are just five creative ways you can organize your home for kids and pets. What other creative organizing ideas can you think of? Reach out to me on Twitter at @sfhotlist… I’d love to hear your thoughts! Since 2002, I have been a leading San Francisco Real Estate Agent. With hundreds of past transactions, I am a well-regarded Realtor and an industry innovator. In addition to my deep connections throughout the San Francisco real estate community, I am the founder of one of San Francisco’s first real estate teams, SFhotlist.com. At the SFhotlist Team, we aim to deliver top results and an enjoyable experience every time!